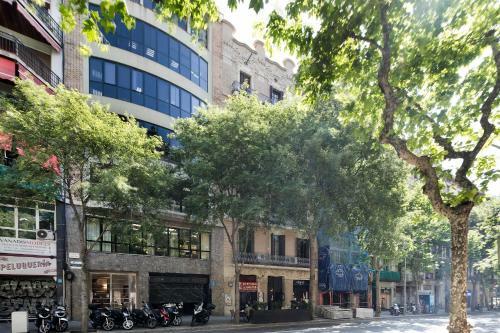 Fisa Rentals Aribau is located in the Eixample district of Barcelona, an 8-minute walk from La Pedrera, 700 metres from Casa Batllo and 1.1 km from Tivoli Theatre. Guests staying at this apartment have access to a fully equipped kitchen. This apartment will provide guests with 2 bedrooms, a flat-screen TV and air conditioning. Plaça Catalunya is a 14-minute walk from the apartment. 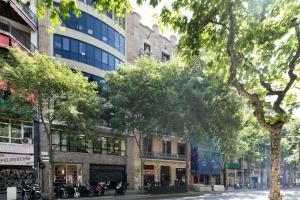 The nearest airport is Barcelona El Prat Airport, 12 km from Fisa Rentals Aribau. This apartment has a tumble dryer, oven and kitchenware. Rate: € 148.00 ... € 185.33; select dates below to get current rates.